Carjackers took an Uptown man’s $145,000 sports car at gunpoint Sunday evening. Two hours later, a Lincoln Park man was relieved of his $45,000 Audi by armed carjackers who confronted him in his garage. Two juveniles are in custody in the Lincoln Park case. 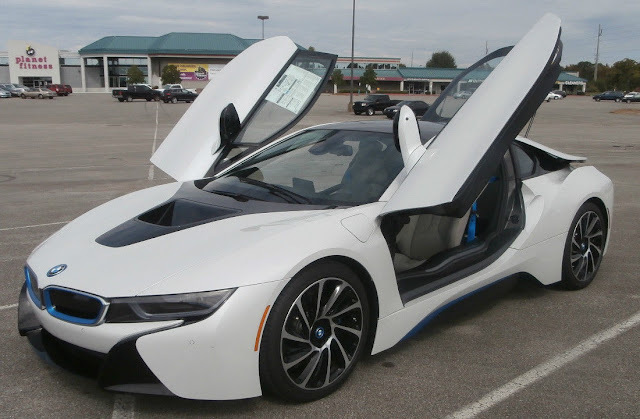 The Uptown man told police that he was confronted by four men who displayed a weapon and ordered him out of his white BMW i8 sports car near the Jewel-Osco store at 4355 N. Sheridan around 9:15PM. The vehicle sped southbound on Broadway and was reportedly pinging on the West Side about an hour later. The offenders were described only as black men. The Lincoln Park victim told police that two young black men entered his garage, pulled out a handgun, and robbed him of his cell phone, wallet, and black Audi A5 in the 2700 block of N. Janssen around 10:40PM on Sunday. Police found the Audi traveling eastbound near Clark and Diversey moments later. Two occupants were arrested after they bailed out of the car near the shuttered Market Place grocery store at 521 W. Diversey. The names of the offenders have not been released as they are reportedly juveniles. Investigators are trying to determine if the two carjackings are related.